A pseudoscience is a fake science that makes claims based on faulty or nonexistent scientific evidence. In most cases, these pseudosciences present claims in a way that makes them seem possible, but with little or no empirical support for these claims. Graphology, numerology, and astrology, are all examples of pseudosciences. In many cases, these pseudosciences rely on anecdotes and testimonials to back up their often outlandish claims. Consider the purpose. Science is focused on helping people develop a deeper, richer and fuller understanding of the world. Pseudoscience often focuses on furthering some type of ideological agenda. Consider how challenges are dealt with. Science welcomes challenges and attempts to disprove or refute different ideas. Pseudoscience, on the other hand, tends to greet any challenges to its dogma with hostility. Look at the research. Science is supported by a deep and ever-growing body of knowledge and research. Ideas around the topic may have changed over time as new things are discovered and new research is performed. Pseudoscience tends to be fairly static. Little may have changed since the idea was first introduced and new research might not exist. Can it be proven false? Falsifiability is a key hallmark of science. This means that if something is false, researchers could prove that it was false. Many pseudoscientific claims are simply untestable, so there is no way for researchers to prove these claims false. Phrenology is a good example of how a pseudoscience can capture the public attention and become popular. According to the ideas behind phrenology, bumps on the head were thought to reveal aspects of an individual's personality and character. Physician Franz Gall first introduced the idea during the late 1700s and suggested that the bumps on a person's head corresponded to the physical features of the brain's cortex. Gall studied the skulls of individuals in hospitals, prisons, and asylums and developed a system of diagnosing different characteristics based upon the bumps of a person's skull. His system included 27 "faculties" that he believed directly corresponded to certain parts of the head. Like other pseudosciences, Gall's research methods lacked scientific rigor. Not only that, any contradictions to his claims were simply ignored. Gall's ideas outlived him and grew wildly popular during the 1800s and 1900s, often as a form of popular entertainment. There were even phrenology machines that would be placed over a person's head. Spring-loaded probes would then provide a measurement of different parts of the skull and calculate the individual's characteristics. While phrenology was eventually dismissed as a pseudoscience, it did have an important influence on the development of modern neurology. Gall’s idea that certain capabilities were linked to certain parts of the brain led to a growing interest in the idea brain localization, or the notion that certain functions were linked to specific areas of the brain. Further research and observations helped researchers gain a greater understanding of how the brain is organized and the functions of different areas of the brain. Hothersall, D. (1995). History of Psychology. New York: McGraw-Hill, Inc.
Megendie, F. (1855). An elementary treatise on human physiology. Harper and Brothers. Sabbatini, R.M.E. (2002). 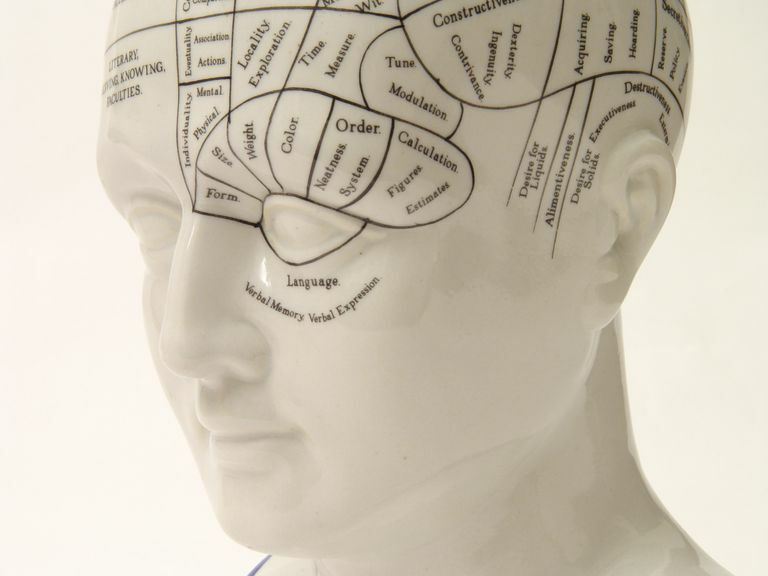 Phrenology: The History of Brain Localization. Wixted, J. (2002). Methodology in experimental psychology. Capstone.